If you’re looking for high-performance family vehicle, the all-new 2018 Dodge Durango SRT is bound to catch your eye. While the Durango SRT’s spacious design will impress your family and friends, its sheer power will leave you in awe. This SUV’s ability to pull a hefty load adds to its versatility. 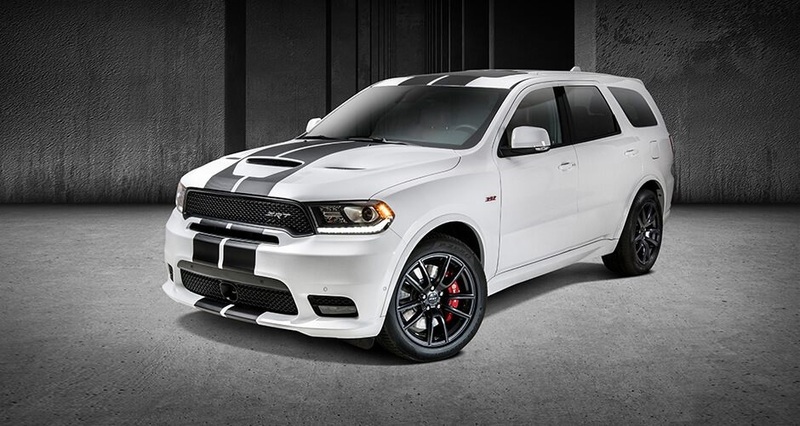 Meanwhile, everyone on the road will notice the Durango SRT’s muscular styling. As expected, a number of premium features come standard. Your local Dodge dealer serving Westbury New York urges you to come take a test drive. Current Dodge SRT specials will enable you to save big! Let’s check out some of the Durango SRT’s key highlights. Expect the 2018 Dodge Durango SRT near Westbury to turn a lot of heads. Although it shares many styling cues with the base Durango, it has a more intimidating look. You’ll immediately notice the SRT model’s wide stance. Integrated wheel flares further enhance the SUV’s aggressiveness. The Durango SRT’s front fascia is just as stunning. It features a blacked-out grill and black headlamp bezels. LED fog lights add the finishes touches. Of course, the vented hood will grab everyone’s attention. It helps feed additional air into the SUV’s massive engine. On the rear, “Racetrack” LED taillights elevate the Durango SRT’s coolness factor. Racy exhaust tips and a roof spoiler further highlight this vehicle’s high-performance design. A special set of black wheels come standard. 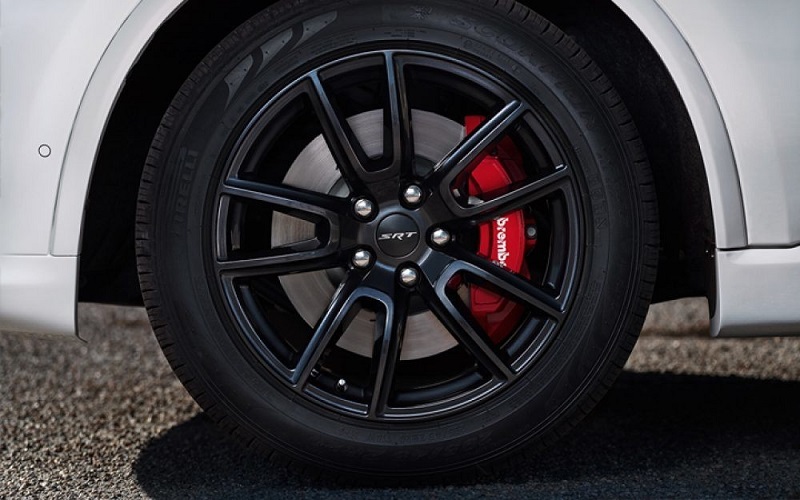 Not only do the performance tires bolster the Durango SRT’s curb appeal, but they also enhance traction. You also certainly overlook the red Brembo brake calipers. Some of the dazzling paint colors include Redline Pearl Coat, Octane Red Pearl Coat, Dark Black Clear Coat, and Bruiser Grey Clear Coat. To see the new Durango SRT, visit your local Dodge dealer serving Westbury New York. 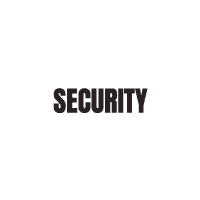 Security Dodge is where you’ll find all of the newest models! 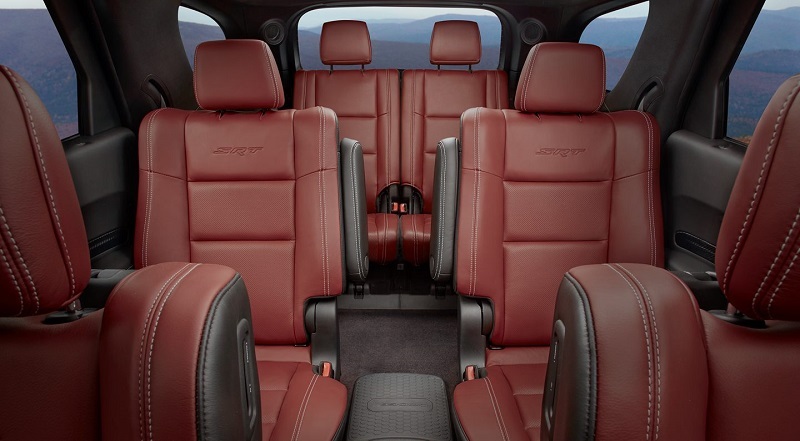 Designed to accommodate up to seven people, the 2018 Dodge Durango SRT near Westbury promises to provide great comfort. A roomy design enables big families to kick back and relax. Whether you’re dropping the kids off at school or taking an out-of-town adventure, everyone will be able to spread out. High-performance seats will keep you comfy throughout the trip. There’s lots of cargo space in the back. The Durango SRT’s interior also has an incredibly luxurious feel. Premium Laguna leather upholstery is optional. A T-handle gear shifter comes standard. While behind the wheel, you’ll be surrounded by exciting technologies. 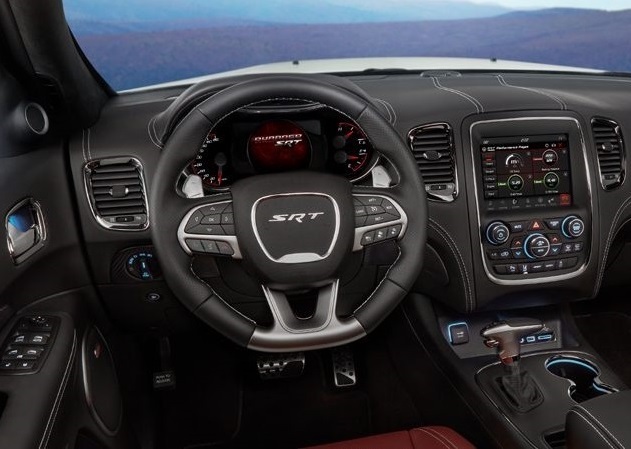 Featuring a high-resolution touch screen with Apple CarPlay and Android Auto, Dodge’s Uconnect infotainment system remains one of the highest-rated interfaces on the market. A SRT Performance Pages app allows you to quickly access stats such as 0-60 times and horsepower production. If you’re a music fan, the Durango SRT’s thunderous Beats audio system will keep you rocking throughout the day. Kids will love the optional rear entertainment system, which allows them to watch movies and play video games. Some of the other niceties include a three-zone climate control system, a backup camera, and keyless ignition. For more details on the Durango SRT’s available features, contact Security Dodge! 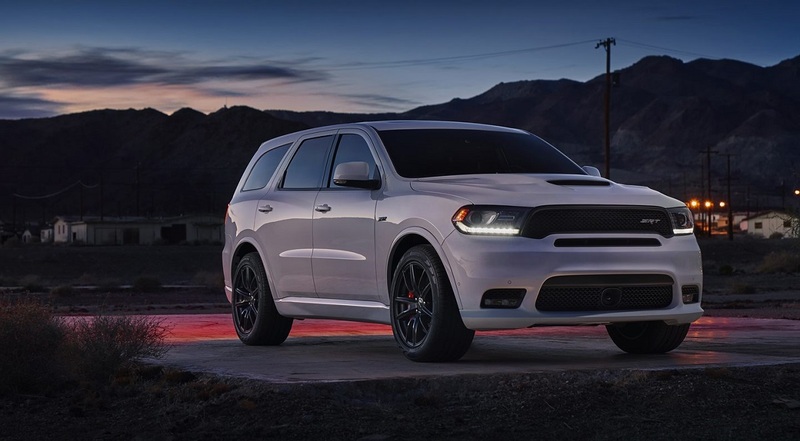 The 2018 Dodge Durango SRT is built to get your blood stirring. An adaptive suspension enables the Durango SRT to outperform vehicles that are far smaller. When you take this SUV on a twisty road, its confidence-inspiring handling will leave you impressed. A performance-tuned steering system puts drivers in total command. You’ll also benefit from the Durango SRT’s electronically controlled limited-slip differential. It helps improve balance around curves. SRT Drive Modes allow you to fine-tune the SUV’s driving character at the touch of a button. Fortunately, you can still look forward to experiencing an incredibly plush ride. Advanced all-wheel drive comes standard. When facing wintry road conditions, the enhanced traction is bound to come in handy. Remember, Dodge SRT specials are now available for local customers. Contact Security Dodge for more details! Powering the new 2018 Dodge Durango SRT near Westbury is a monstrous 6.4-liter, Hemi V8 engine. The engine’s cold air intake optimizes performance. It’s tuned to develop a class-leading 475 horsepower and 470 pound-feet of torque. An eight-speed automatic enables the new Durango SRT to offer aggressive acceleration. With a tested 0-60 time of 4.4 seconds, the new Durango SRT is hands-down among the fastest three-row SUVs on the planet. It simply leaves the competition in the dust. You can also use the Durango SRT’s muscle to tow up to 8,700 pounds. You’ll be able to enjoy the Durango SRT’s breathtaking performance without sacrificing any safety. Standard front and rear parking sensors help you to maneuver around obstacles. Meanwhile, Rain Brake Support ensures quick stops during wet weather. Several driver-assist technologies are available. When traveling on a crowded interstate, blind-spot monitoring enables you to switch lanes with greater confidence. Forward collision warning with automatic braking gives you an additional peace of mind. Lane-keep assist is offered as well. If you have any questions, don’t hesitate to contact your local dealer serving Westbury New York. Come see the new 2018 Dodge Durango SRT today! The current Dodge SRT specials will enable you to save big. *Article for general informational purposes. For complete details, please contact the dealership.